Bearing the weight of the entire body, the foot is under tremendous stress. In many sports, the foot absorbs tremendous shearing and loading forces, sometimes reaching over 20 times the person's body weight. It is important to have your feet regularly checked by a chiropractor to help prevent injuries and/or heal injuries. There are two types of injuries which a runner may sustain: Acute trauma, and an overuse injury. Cause: stretching or tearing the connective tissue on the bottom of the foot where the tissue attaches to the heel. Symptoms: Pain in a specific area on the bottom of the foot towards the heel, possibly radiating towards the ball of the foot. The foot feels tender early in the morning and becomes less painful with movement. Is often associated with pronation and a fallen arch. Prevention: regular stretching of the calf and Achilles tendon. It is also important that the feet are assessed for any biomechanical problems. Orthotics or insoles may also be prescribed. The Achilles tendon is the connection between the heel and the most powerful muscle group in the body, the calf and is a very common site for a disabling injury. Cause: Faulty posture, poor shoes, fallen arches, insufficient warm-up, muscle fatigue, exercising on unyielding surfaces or poor running mechanics. Symptoms: pain or discomfort on the front, the inside and/or the outside surface of the shin bone or directly on the shin bone. Prevention: Good shoes with shock absorbing features, heel toe landing for the minimum impact, and calf stretches. Sports taping will also help. These small fractures occur due to excessive stress (overuse of the bone) or an increase in intensity or distance running, resulting in gradual breakdown of the bone. Symptoms: Pain occurs especially in the foot and lower leg becoming more intense with weight bearing activity. X-rays appear negative initially but fractures become visible up to two weeks after the initial injury. This is pain or aching in the outer side of the knee and usually happens in the middle or at the end of a run and is often seen in runners who train only on a track or on uneven ground. At the initial consultation at the clinic, the chiropractor takes a full medical history, investigates lifestyle, posture etc, carries out a thorough examination and takes x-rays when necessary. Once the diagnosis is made, a treatment plan is prepared. Chiropractors use gentle, specific manipulation and adjustment techniques to free stiff joints, restore normal movement and remove spinal irritation. 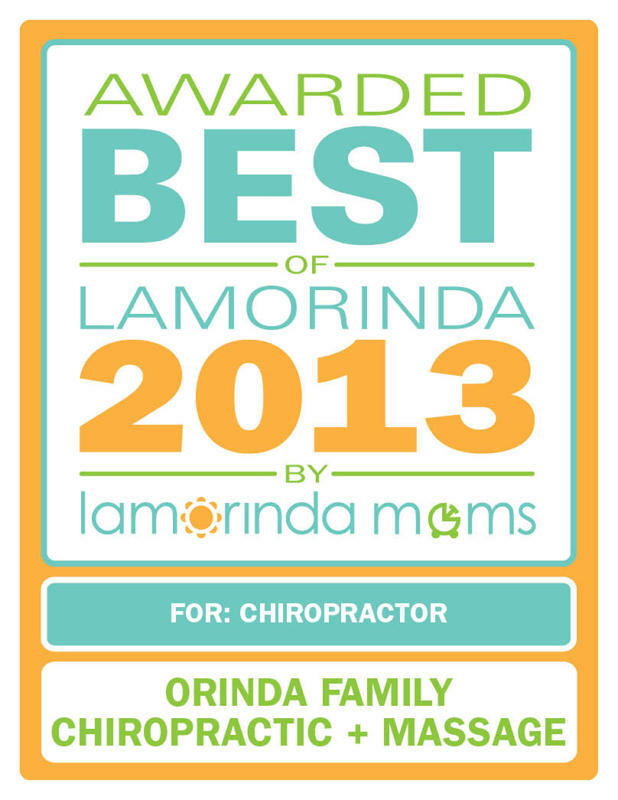 Chiropractors may also use modalities such as ultrasound and interferential treatment. Once painful symptoms settle, the chiropractor will encourage you to follow a programme of rehabilitation exercises to help strengthen the injured area, improve flexibility and prevent recurrence of the problem. Chiropractic treatment aims to restore normal function to your joints and muscles as well as your nervous system, which will increase control, co-ordination and muscle strength. 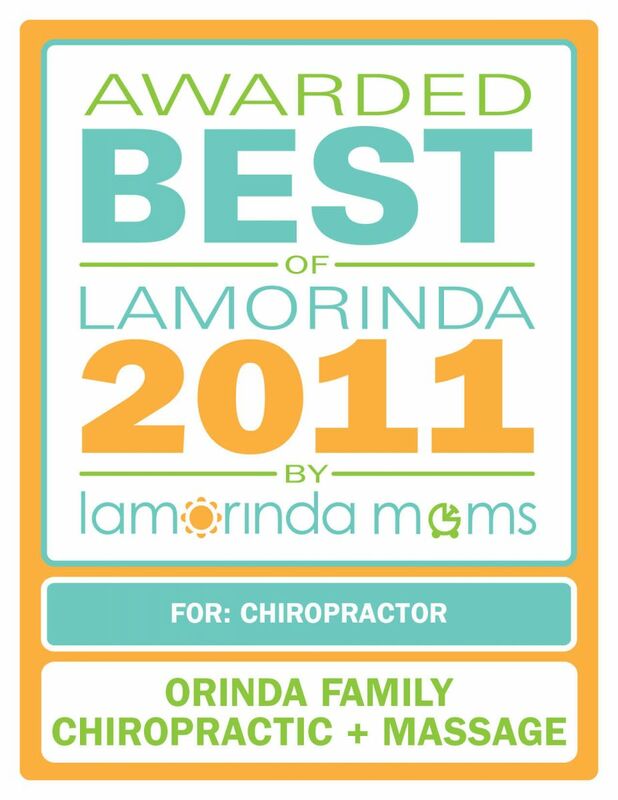 For more information on how chiropractic could help you and your family, call Orinda Family Chiropractic at 925-258-0850 or email us at info@orindachiro.com.